Just as the majestic bald eagle is the avian symbol of our nation for its strength, power, and dominance, the striped bass is a uniquely American fish that has been intertwined with the people, history and heritage of the United States for centuries. It played a pivotal role in providing the Pilgrims of Plymouth Colony sustenance as early as 1620, and by 1639 conservation laws were enacted to prevent overharvesting. Over the years, however, stripers suffered from pollution that ultimately brought about the Clean Water Act, and after the passage of the historic Striped Bass Conservation Act of 1984 the stocks began a road to recovery. Now, Congressman MacArthur, who sits on the House Natural Resources Committee, and the Recreational Fishing Alliance believe the time has come to award the striper the same recognition held by the bald eagle. Congressman MacArthur's seat on the Committee places him in a key position to shepherd this legislation through the process. 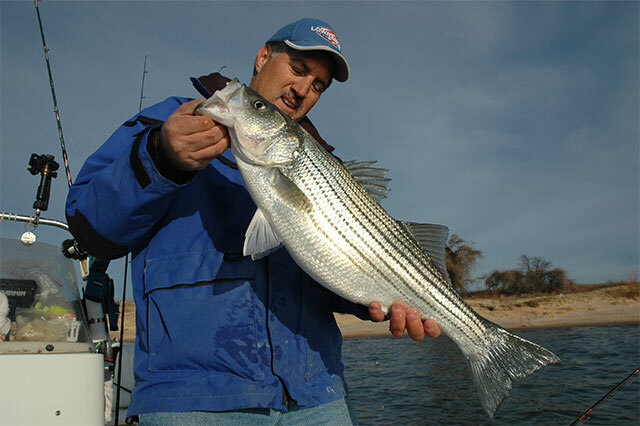 The initiative, if successful, will formally designate the striped bass as an official symbol of the United States. It will provide a species that fishermen and naturalists recognize as "all-American" with a status that could ensure greater respect and protection than is currently available under limited fishery management plans designed to merely maintain the stocks. Thom Dammrich, President of the National Marine Manufacturers Association says, "NMMA is proud to support the American Striped Bass Heritage Act. Fishing and boating are inextricably linked, a fact that unifies boaters and anglers and focuses attention on our collective contributions to conservation. Some of America's most treasured natural resources are its waterways and fisheries resources, and the American Striped Bass is worthy of this special designation as its recovery embodies the American resilience and the conservation ethic of America's boaters and fishermen. "The importance of the striped bass in American history is well established and deserving of the highest recognition," said Jim Donofrio, RFA's Executive Director. "That's why we intend to work closely with Congressman MacArthur and other members of the House and Senate to ensure that this truly exceptional species becomes formally designated as America's National Fish." To learn more about how you can support this effort click here. The RFA will soon be offering t-shirts and posters with original "Striped Bass National Fish" artwork by renowned artist Savio Mizzi. The Recreational Fishing Alliance is a national, grassroots political action organization representing recreational fishermen and the recreational fishing industry on marine fisheries issues. The RFA Mission is to safeguard the rights of saltwater anglers, protect marine, boat and tackle industry jobs, and ensure the long-term sustainability of our Nation's saltwater fisheries. For more information, call 888-JOIN-RFA or click here.